I am continuously amazed at the amount of music found in our fair cities. For instance, there are ten different places having jazz on Friday, and much more featuring Blues and Roots music almost every night of the week, not to mention outdoor events. So, it’s summer and we have to take advantage of the weather, vacations, and the opportunity to support artists of all kinds and lift our spirits at the same time. Enjoy the week. Lila Ammons @ Crooners Lounge & Supper Club, Fridley. 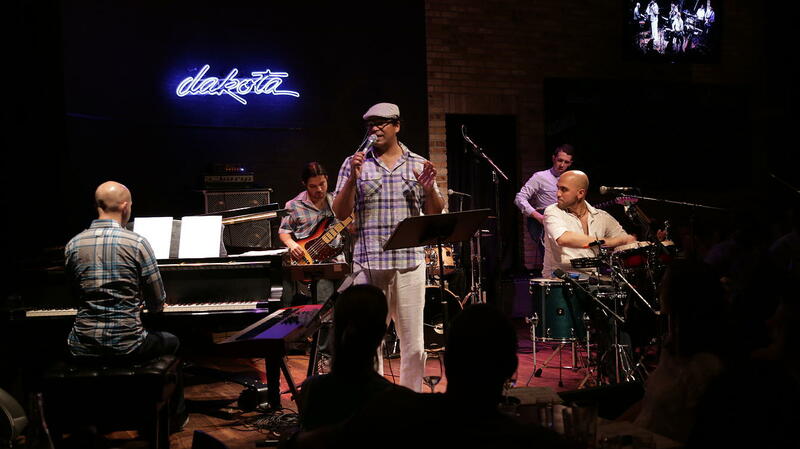 7pm (No Cover) With a blues-based approach to jazz, vocalist Ammons is a natural fit for the confines of the Supper Club just North of 694 and NE Minneapolis. Shoop! @ The Village, Mendota Heights. 6:30pm (Free) Five part harmonies from three women and two men, featuring jazz standards and the occasional pop song. Mississippi @ Vieux Carre, Saint Paul. 8pm ($5) Here’s a band that throws some Peruvian Lando music into its rich stew of jazz. 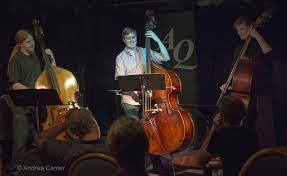 It’s A-list members include Pete Whitman, sax; Peter Schimke, piano; Jeff Bailey, bass; and Kevin Washington, drums. da-ke-breo-da @ Studio Z, Saint Paul. 8pm ($10) The All Originals Jazz Series continues with this group named with syllables from the names of each of its members: Dave Brattain, sax; Kevin Daley, guitar; Bruce “Pooch” Heine, bass; Dave Stanoch, drums. Charmin & Shapira @ Black Dog Coffee & Wine Bar, Saint Paul. 8pmn (Tip Jar) The silken voice of Charmin Michelle and tasty guitar of Joel Shapira go together as tastefully as burgundy and brownies, both of which are available at the Black Dog. Rare Medium @ Nicollet Cafe, Minneapolis. 9pm ($10 Suggested Donation) The popular jazz funk group is back from a performing hiatus. Members include Jaim Zuber, guitar; Jesse Mueller, keys; Aaron McCabe, trumpet; Joan Hutton, sax, bass clarinet, and flute; Joshua Stallings, bass; and Ryan Johnson on something called the H-Dial. Peter Kogan CD Release @ Orchestra Hall Atrium, Minneapolis. 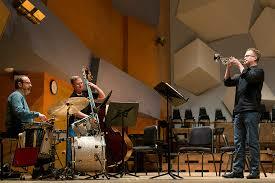 10:15pm (Free) Kogan a drummer with the Minnesota Orchestra, is releasing his second jazz record. His first, 2013’s Cornucopia, was a delight. The new CD, Some Monsterful Wonderthing, promises to be even more so, with a group that includes Cory Wong, guitar; Pete Whitman, sax; Sean Turner, piano, Charles Lazarus, trumpet; Brian Courage, bass; and Scott Agster, trombone. Doug Little @ Alexis Bailey Vineyard, Hastings. 1:30pm (Free) If you’re looking for a little drive and a pleasant afternoon, head down to Hastings to check out the Bailey Vineyard and the music of saxophonist Doug Little of Charanga Tropical, Seven Steps to Havana, and other Latin bands. Pack a picnic or buy some food, and sit on the deck listening to great music and enjoying the fruits of the vineyard. Here he is at the Vineyard a couple of years ago. Minneapolis Latin Jazz All Starz @ Arnellia’s, Saint Paul. 6:30pm & 8pm ($5) Latin Jazz you can dance to (is there any other kind? ), featuring Jimmieapolis (Jimmy Wallace) on saxophone, by a band dedicated to Augie Garcia. Boney James @ The Dakota, Minneapolis. 7pm ($45 – $65), 9pm ($35 – $65) After working with the Isley Brothers, Morris Day, Randy Crawford, and Teena Marie, saxman James released his first album in 1992. Since then he’s received 4 Grammy nominations, and a Soul Train Award, along with selling 3 million CDs and receiving four gold album awards. James calls his latest CD Futuresoul, as he uses modern production and the melodic and rhythmic trappings of vintage soul. Courageous Endeavors @ The Icehouse, Minneapolis. 9:30pm ($8) As noted in Wednesday’s listing, Brian Courage is in town for a bit and tonight is playing with the band he started. Courage, bass; Miguel Hurtado, drums; Nelson Deveraux, sax; Joe Strachan, piano. Steve Sullivan & the Factory @ Como Park Zoo, Saint Paul. 6pm – 8pm (Free) Grab the kiddies and head over to the zoo where you can catch Sullivan and his band, playing blues and rock n’ roll that draws from Tom Waits as well as Jimi Hendrix. Pure Praire League @ The Dakota, Minneapolis. 7pm ($45) During the 70s and 80s, PPL as a steady presence on both country and pop charts with their easy-going lyrics, Eagles-type harmonies, and tap your toes rhythms. After disbanding in the mid 80s they reunited in 1998, and though they’ve experienced personnel changes through the years, they still deliver their distinctive sound. Here they are doing a Lowell George tune. Nikki & the Ruemates @ Vieux Carre, Saint Paul. 7pm ($5) The underground vibe of the new Vieux is a good setting for the intimate folk/rock sounds of Nikki & the Ruemates. Here they are in a noisier environment. John Beach @ Big Daddy’s BBQ, Saint Paul. 4:30pm (No Cover) With his gravelly voice and a long history of playing R&B keyboards, Beach’s patio performance at Big Daddy’s will be a great accompaniment for the BBQ. Secret Stash Records Revue @ First Avenue, Minneapolis. 8pm doors ($20) Secret Stash Records is a Twin Cities label that has made some impact with its releases of obscure funk from around the world and the Twin Cities. In fact, the release of old Twin Cities funk has led to the formation of a number of bands including Sonny Knight and the Lakers, and Black Market Brass, both part of tonight’s all star show featuring Cameron Kinghorn of Nooky Jones and the Adam Meckler Orchestra, Black Market Brass, Maurice Jacox, Pavielle French, Wanda Davis, and headliners, Sonny Knight & the Lakers. Romantica @ The Dakota, Minneapolis. 7pm ($12) Romantica frontman and leader Ben Kyle is an immigrant Irishman who uses American country and folk music to underly his songs about his homeland. Their initial release, Your Weakness, received tons of play on Twin Cities commercial and non-commercial stations and received numerous MN Music Awards in the early aughts. Kyle’s solo effort in 2013 also received much praise, including an article in the Huffington Post. Opening are Jayanthi Kyle and Wes Burdine of Gospel Machine. Choro Borealis @ Vieux Carre, Saint Paul. 8:30pm ($5) Choro Borealis plays Choro (pronounced SHOW-doo), high energy music that was popular in Brazil prior to the Bossa Nova craze of the 60s. The highly talented musicians in the group include guitarist Robert Everest, who is well schooled in many world rhythms, as well as multi-instrumentalist Pat O’Keefe, and percussionist Tim O’Keefe. Eric Gales @ Famous Dave’s, Minneapolis. 9pm ($7) It’s a guitar fanatic’s night at Famous Daves tonight. Gales was a child prodigy on guitar, picking it up at the age of four, and learning from older siblings. The Memphis native has recorded 14 albums as a leader since 1991, and has appeared on dozen of others. Gales is a Hendrix disciple, though he can draw all kinds of sounds from his guitar, as evidenced on his work on tributes to Led Zeppelin, Eric Clapton, and others. Viva Brazil @ The Icehouse, Minneapolis. 5pm ($10) The members of this eight-piece band hail from Rio, Bahia, Missouri, Maryland, Detroit, and upstate NY, though they all live in the Twin Cities. The group includes Altimair Coelo, director, bass; Keving Washington, drums; Josue Alfaro, percussion; Dan Musselman, piano; David Feily, guitars; Cory Wong, guitars; Eliezer Freitas Santos, percussion and Will Lopes, lead vocals. There’s no doubt you’ll be swaying to the insinuating rhythms of bossa novas, sambas, and more. Kong/Shu Project @ MN History Center, Saint Paul. 6:30 – 8:30pm (Free) The History Center always includes one or two world music groups in its lineup for Nine Nights of Music each summer. This time they have The Kong/Shu Project, two brothers from North Carolina who perform a hybrid of folk, 80s rock, and pop in Hmong. They are appearing in conjunction with the History Center’s exhibit Hmong in Minnesota which had the largest opening day numbers in the Center’s history. Bombino @ Cedar Cultural Center, Minneapolis. 7:30pm $22 – Desert Blues from another guitar master. Omar “Bombino” Moctar released Nomad in April of 2013. It was produced by Dan Auerbach of the Black Keys, and debuted at #1` on the Billboard World Music Charts. Rolling Stone calls Bombino, member of a nomadic Tuareg tribe, a guitar hero. American Cream opens. This entry was posted on Wednesday, July 29th, 2015 at 9:27 am and is filed under Weekly Preview. You can follow any responses to this entry through the RSS 2.0 feed. You can leave a response, or trackback from your own site.